There are multiple ways to enjoy a fine slab of filleted salmon. You can eat it raw like the Japanese do, bake it, pan sear it, and more. One of my favorite ways to cook salmon is New Orleans style. What I like about salmon New Orleans is how it packs a lot of flavors that feels like an explosion of flavors in the mouth, and healthy vitamins and minerals. 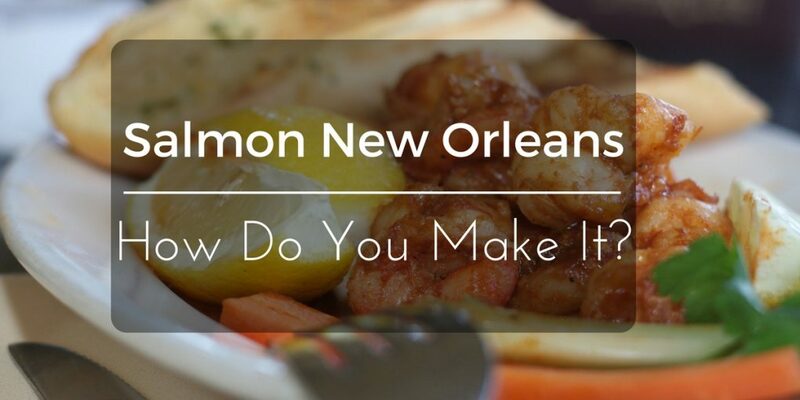 If you want to know how to cook salmon New Orleans style, I urge you to go through this short and simple cooking guide that I have prepared. By the end of this article, you will have enough knowledge to whip up a batch or two of the famous salmon New Orleans. What Is Chicken Base And How Can You Make It? Chicken flavored soups and sauces can be made by using various ingredients. One ingredient I like to use when making gravy, stock, and soups is a nice thick chicken base. 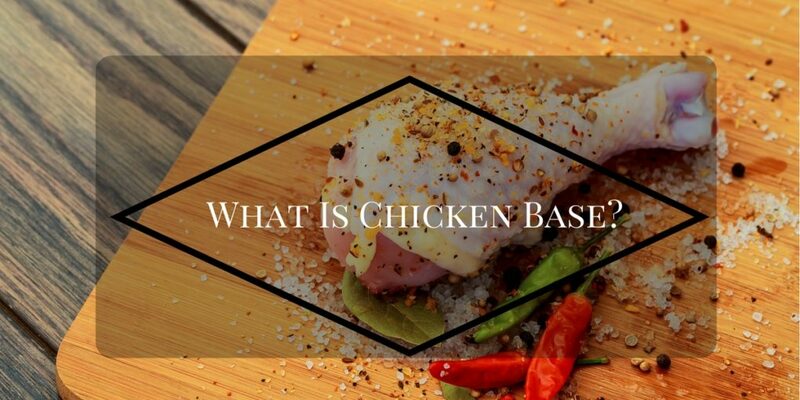 If you haven’t heard of chicken base yet, then I urge you to read on because this is simply one of the most effective ingredients you can use to bring a rich chicken flavor to your dishes. Don’t know what is chicken base? No problem! In this article I’ll tell you all about chicken base, chicken stock, and chicken broth as well as the differences between these ingredients. I’ll even share with you a simple way to make your own chicken base at home. Some of us may be into cooking and might even be pursuing a career in the chef’s world. 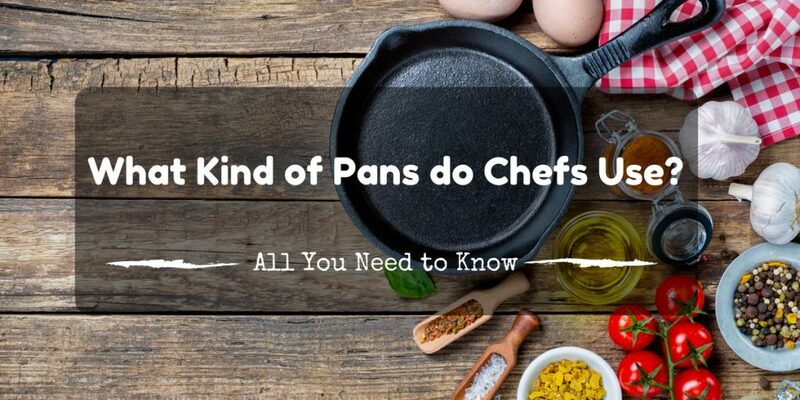 It might be interesting to know, what kind of pots and pans do chefs use? Based on some online research, most chefs have their own personal favorite kitchen equipment, even pots, and pans. Some stick to the traditional tools for cooking, while some are more adventurous when it comes to trying new innovations. Inside a simple and average home, people, including myself can be contented with the basic pots and pans and cook everything in the same pot or pan, and choose what to use by size, depending on the quantity of food we’re preparing. Sometimes just a simple frying pan, a small pot and a big pot do the job for all our cooking needs. Well, prepare to be amazed and discover more kinds of pots and pans. Having said that, let me cite what pans do chefs use and maybe include some modern ones too, also what we use them for. Sharpening a knife is no simple culinary feat. To effectively sharpen a knife, you must be well-aware of the appropriate sharpening technique to avoid damaging your knife. Moreover, the technique is one thing and the type of knife you are sharpening is another. ​When it comes to sharpening ﻿﻿serrated ﻿﻿kn﻿﻿ive﻿﻿s, I guess you’d have to put a little more effort since it would require you to carefully apply the proper sharpening technique to get each tooth sharpened. 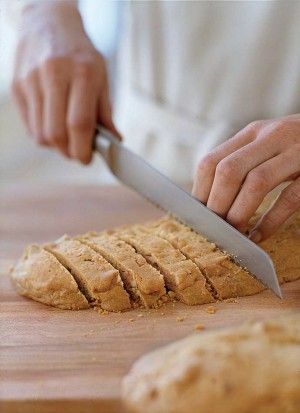 One type of serrated knife that should be kept sharp at all times is the bread knife. 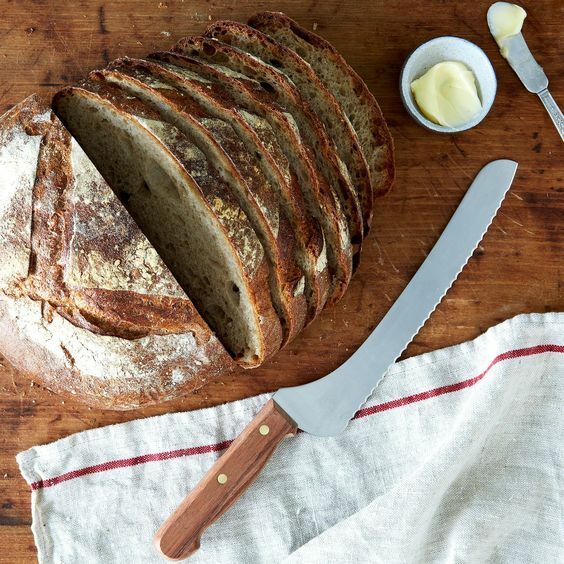 If you’d like to learn how to sharpen a bread knife, you have come to the right place. 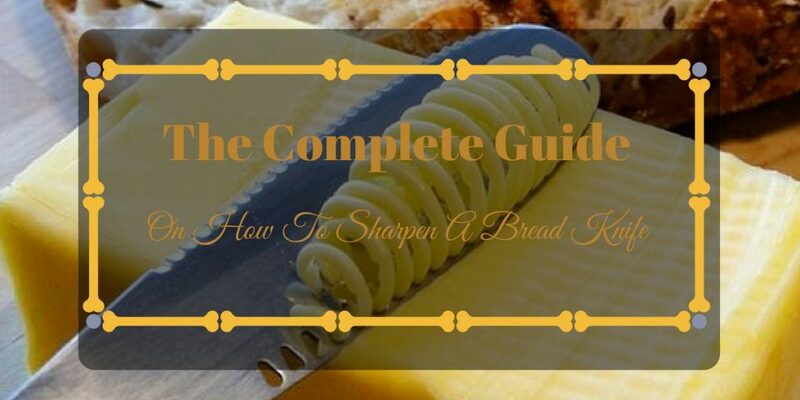 Read on and figure out in our simple guide below, and by the end of this article, you will have what it takes always to keep your serrated knives sharp. What Makes A Knife Dull? Before we get into the how-tos of sharpening a bread knife, let us first discuss what can actually make any knife go dull. To understand how a knife can get dull, you must first know what knives are made of. The most common material used for making knives is steel. You can consider the steel that comes with knives as a form of metal that has layers. When subjected to contact with certain types of materials such as wood and plastic, the edge of the steel blade connected to the knife gets dull. Once the knife has undergone sharpening, its inner layers will be brought to the surface and the whole knife will be ready again for cutting. Another thing that can make your knife unreliable when it comes to cutting and slicing is the misalignment. When the blade of your knife is misaligned, having a sharp edge is irrelevant since you won’t be able to cut through food properly. When a knife’s blade I misaligned, that’s where honing comes in. Honing is a completely different method with a significantly different effect on the knife as opposed to sharpening. A whetstone is what chefs often used to sharpen a knife. Constantly grinding the knife’s edge on the whetstone peels back the dulled layers and brings out a new and sharpened layer. The whetstone is an effective knife sharpening tool. I recommend using it on your knives for sharpening at least twice a year. What the honing steel does is that it gently corrects the edge without shaving off plenty of the metal’s layer. Once properly done, the knife’s blade will be in its proper placement and will be very capable of easily cutting through food. To avoid over sharpening your knife, you must know how to find out if your knife is still sharp. One technique I have always found reliable when determining the sharpness of my knife is the tomato test.If your knife can easily cut through a tomato’s tough skin, it’s probably sharp enough to use on other foods as well. 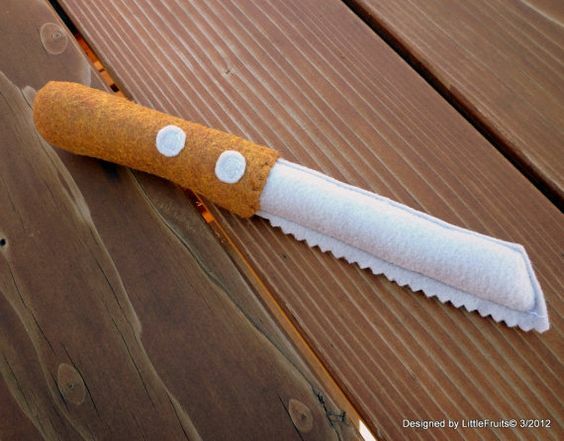 Unfortunately, there is no way to keep your knife completely sharp at all times. Maybe the only thing that can keep it’s edge sharp is not using it at all. But in a practical sense, you can always keep your knife’s sharp edge for a longer time if you refrain from using it on certain materials, especially wood and plastic. Another thing that can dull your knives is the storage space. If your knives are always banging with other types of steel, there’s a large chance of your knives getting dulled. To avoid this, you may have to get an appropriate means of storage such as a knife block. 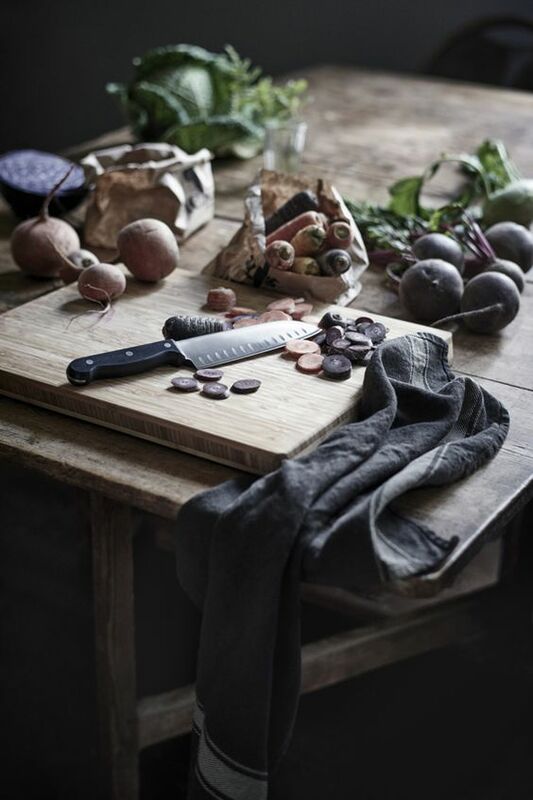 The last thing you can do to keep your knife sharp at all times is constant honing. You may think that you should keep on sharpening your knives before you use them, but that’s actually wrong. Sharpening should be kept to a minimum. Twice every year should be enough. As for honing, it’s best to keep honing your knife before using them to keep their blades aligned. Completely aligned blades can also help prolong the sharpness of a knife’s edge. 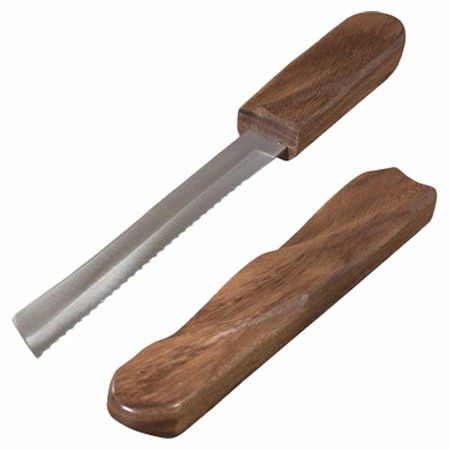 To effectively sharpen a bread knife, or any kind of serrated knife for that matter, you will only need a ceramic sharpening rod. When choosing a ceramic sharpening rod, you would have to consider the size of the serration in your knife’s blade. The ideal ceramic sharpening rod should have a diameter that matches your knife’s serration. 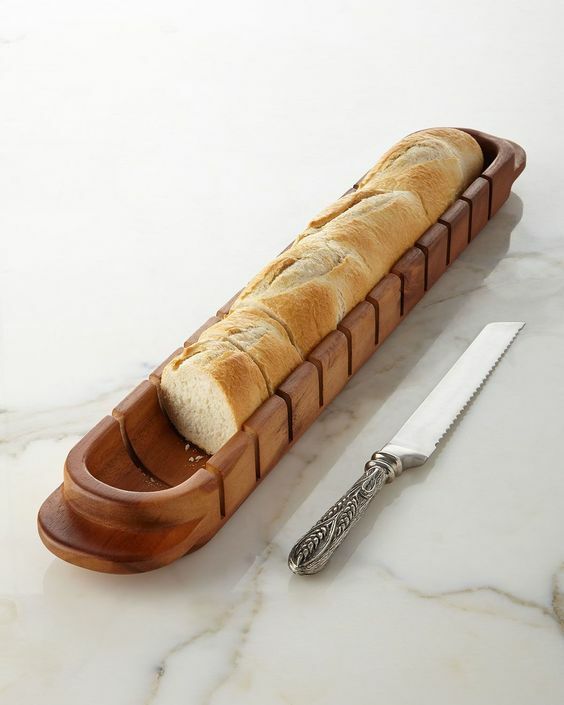 An 8-millimeter rod is often the best choice for most bread knives. But if that size isn’t available, you can also look for ceramic sharpening rods with diameters up to 13 millimeters. 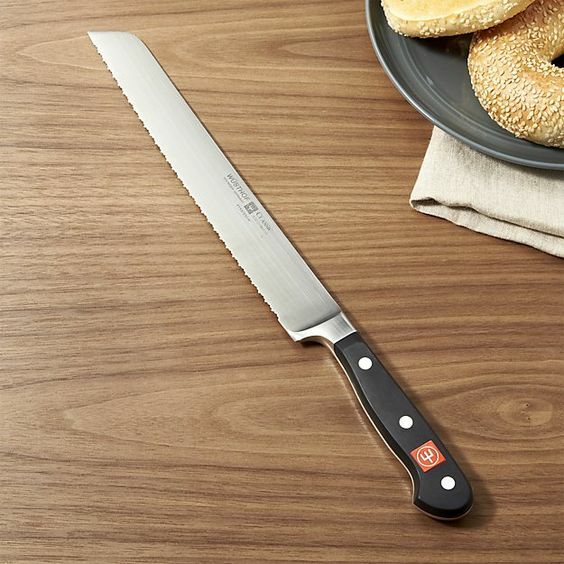 The first thing you need to do when sharpening your bread knife is to make sure that your knife is completely clean. Having bread crumbs or other things stuck to your knife will only lead to ineffective sharpening. Before you proceed to sharpen your bread knife, you should also clean your ceramic sharpening rod before hand. Simply clean your ceramic sharpening rod by wiping it with a dish sponge and some soap and rinsing it with water. The next thing you should do is determine which side of your knife’s blade should be put against the honing steel. Once you know which side of your knife should be sharpened, the next step you should take is sharpening with the ceramic rod. The best way to sharpen a bread knife is by laying it on a flat surface with the side you should sharpen facing up. After doing so, simply run your ceramic rod through each serration while you're holding it at a slanted angle. After sharpening your knife, the last step you should take is getting rid of the shredded layers of steel. You can easily do this by rinsing your knife and wiping it clean with a dry piece of cloth. You can also try cleaning it with some dish soap if you like. If you have any questions about this article, please do not hesitate to ask me and leave your feedback in the comment box below. I’ll try to get back to you as soon as I can, thank you! Mushrooms are healthy and great ingredients that you can use on a variety of dishes. It goes well with many kinds of meat, vegetables, sauces, and even soups. 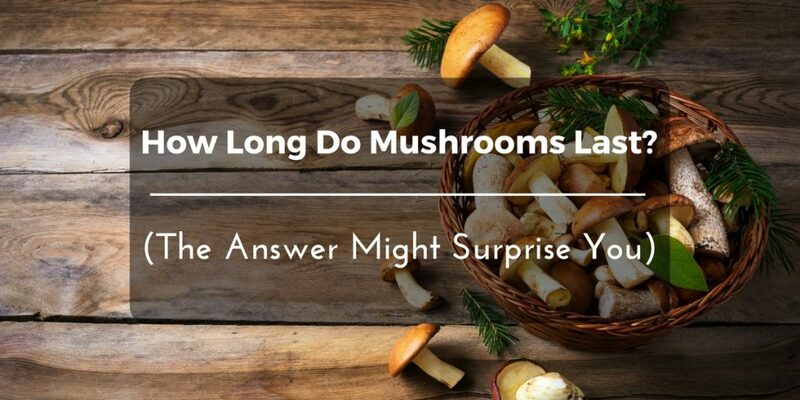 However, just like any perishable good, mushrooms have a definite shelf-life that you need to keep in mind to avoid getting food poisoned or a sick stomach. Don’t have any clue about how long mushrooms last? It’s alright, because for this article, I will be sharing with you all the basic information you need to know about keeping your mushrooms safe for long periods of time. Read on and find out more! Halibut is a large saltwater fish has become a favorite of restaurant chefs for its thick fillets that cook likesteak. However, just like steaks, Halibut fillets are very easy to overcook since its meat is very fragile. If you have tried cooking halibut using conventional methods yourself, I am sure you must have struggled with reaching a medium rare center. Fortunately, there is a simple method you can try to get perfectly cooked Halibut every time, and that isby cooking with sous vide. 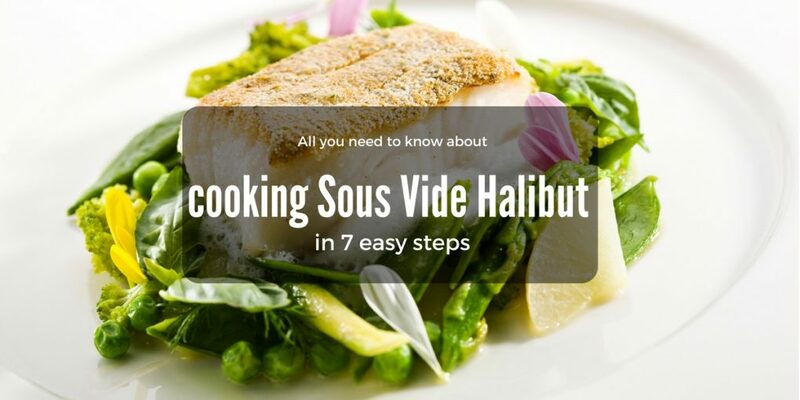 Read on to find out all you need to know about cooking Sous Vide Halibut. When buying a cookware, you will probably notice different types of metals used. Some cookware is made of stainless steel, cast iron, copper, and aluminum. Aluminum is one of the most popular metals for pans and pots. However, when it comes to safety, some people are skeptical about using it. There are numerous reasons why people avoid using it. 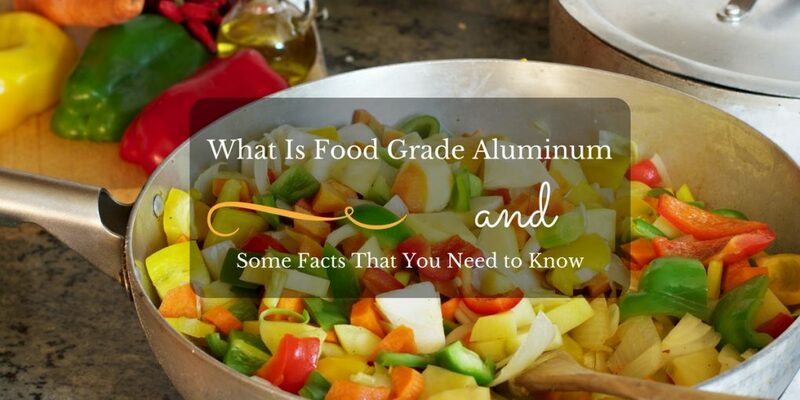 In here, you will know what “food grade aluminum” means and other facts about aluminum. 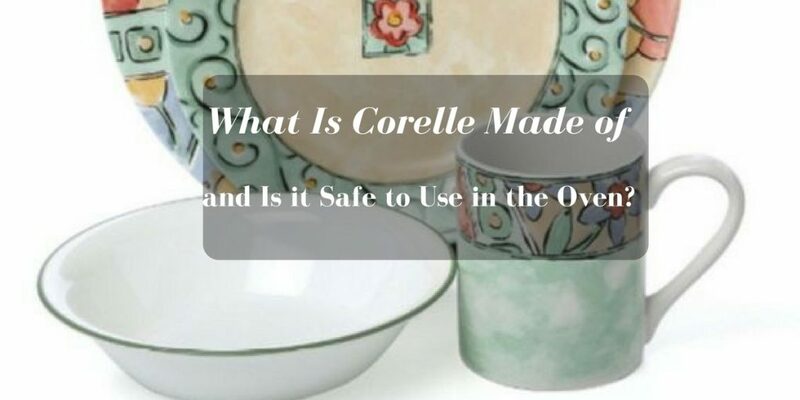 What Is Corelle Made of and Is it Safe to Use in the Oven? One of the most faced problems during occasions is the dinner ware you would be using. Particular need to be really special and often, other people buy dinner ware exclusive for that individual event. Whether you are preparing the best kitchen appliance or cooking the most delicious recipe, dinner ware plays a vital role in your process. There is many dinner ware available in the market today. From different brands to distinct designs, you actually have a lot of choices in front of you. The set should possess qualities and features that highlight its longevity, reliability, and durability. 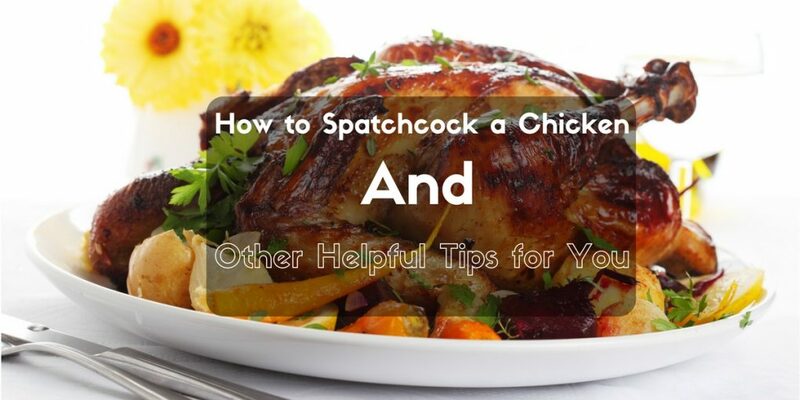 You should also consider how you will use it and look whether it’s oven safe, microwavable or scratch resistant. What Is the Best Way to Cook a Redfish? Redfish is famous seafood which is known as excellent lobster bait. Now while you catch a redfish, you may recognize what species you are eating. First, you should know what a redfish is, especially for those who haven’t heard of it before. 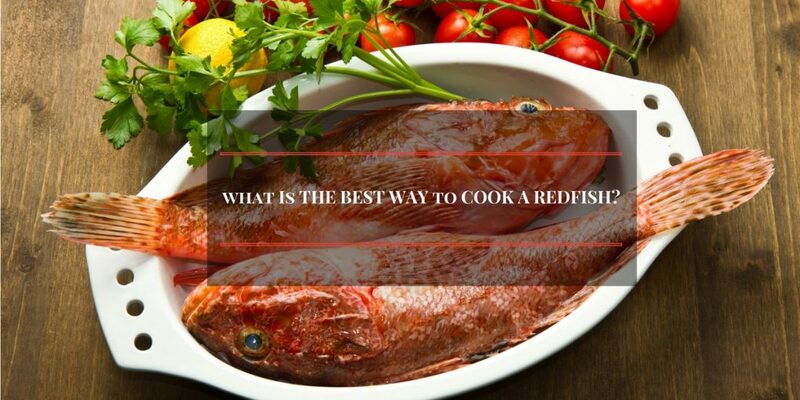 In this article, you will understand the different types of redfish and the cookery method associated with it.